The bright irregularly-shaped feature in area “A” of the image is Spirit’s parachute, now lying on the Martian surface. Near the parachute is the cone-shaped “backshell” that helped protect Spirit’s lander during its seven-month journey to Mars. The backshell appears relatively undamaged by its impact with the martian surface. Wrinkles and folds in the parachute fabric are clearly visible. Area “C” shows the damaged remnant of the heat shield that protected the vehicle during the high-speed entry through the Martian atmosphere. The heat shield impacted the surface after being separated from the vehicle during the final stages of the descent. Area “D” of the image shows the current location of Spirit. Toward the top of the image is “Home Plate,” a plateau of layered rocks that Spirit explored during the early part of its third year on Mars. Spirit itself is clearly seen just to the southeast of Home Plate. 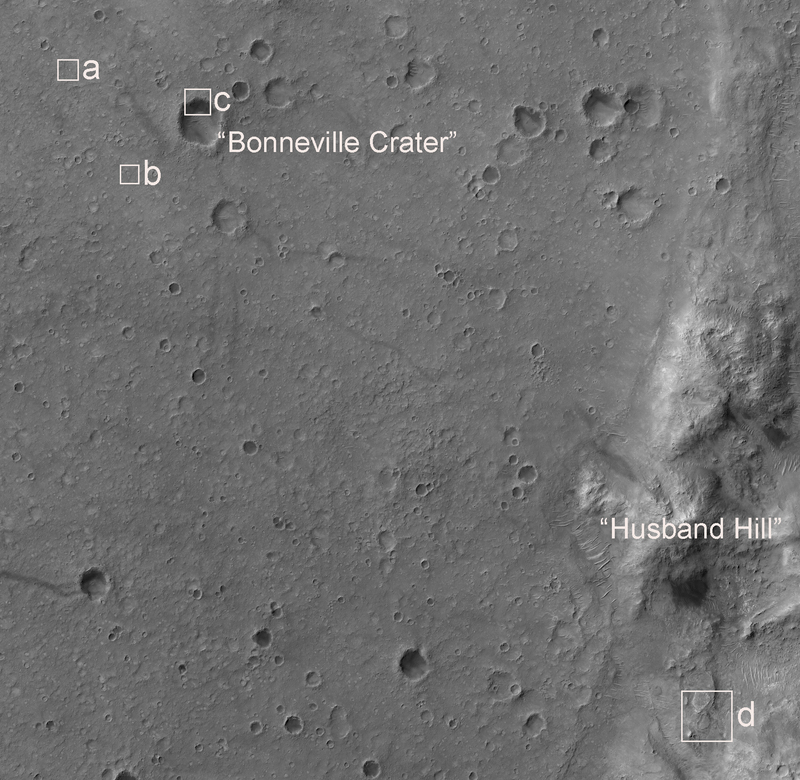 Also visible are the tracks made by the rover before it arrived at its current location. 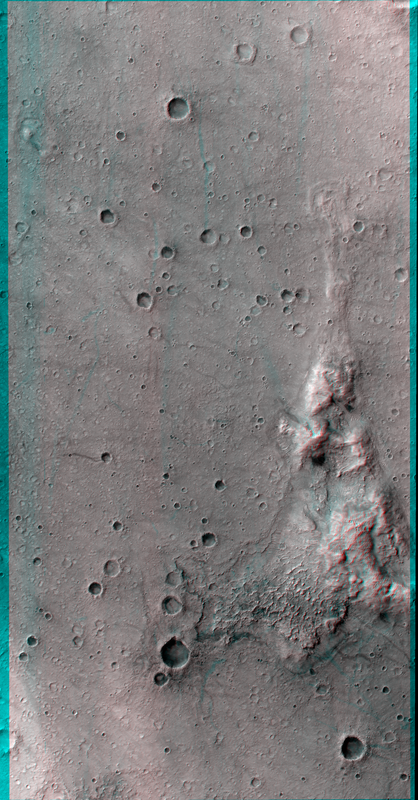 This is a stereo pair with PSP_001777_1650.